This is another wallpaper sample book that was recently photographed as part of the museum’s mass digitization. The book contains a compilation of three different collections: two collections designed by Jack Lenor Larsen with a total of twelve patterns, and the third collection by William Skilling with another four patterns. Larsen designed his first collection in 1959 and I have been unable to find any documentation on his second collection. Two lengths of wallpaper from Larsen’s first collection were donated to the museum in 1960 and both appear in this book, each printed in very bold colorways, more similar to wallpapers of the later 1960s than the 1950s. Almost all the Larsen designs are rendered in monochromatic colorways, with several being inspired by botanicals. Expressing a bit of wit is a pattern called “Ego” which is merely the repetition of the capital letter I. There is also an interesting landscape paper, called “Landscape”, that is three panels wide and can be trimmed to fit walls from seven to eleven feet high. Composed of lines and squiggles the stylized landscape has no vertical repeat, more common in papers today but almost unheard of in the sixties. The final collection in this book was designed by Skilling and contains four whimsical wallpapers designed for children and teens. One of these papers, Petite Safari, was designed in 1963. Larsen, an internationally renowned textile designer, author, and collector, founded his namesake textile firm in 1952. He was a 2015 National Design Award winner. 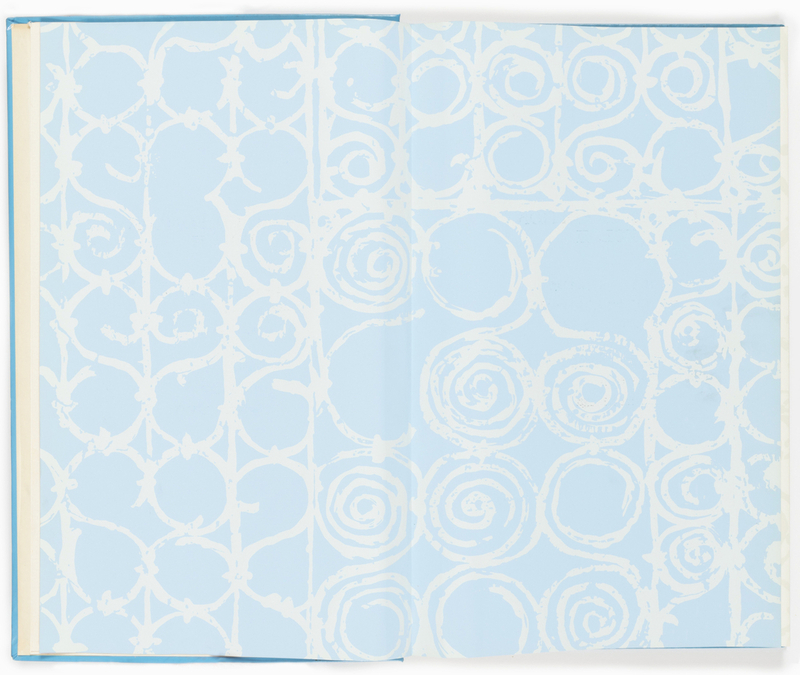 Two of the wallpapers included in this book, one by Larsen and one by Skilling, can be viewed in the Cooper Hewitt’s Immersion Room. This week, we are celebrating work of National Design Award winners, on the occasion of the announcement of this year’s honorees. The annual Awards program celebrates design, in a variety of disciplines, as a vital humanistic tool in shaping the world. Jack Lenor Larsen won the Director’s Award in 2015.